Ready. Aim. Girl Power! Zing Toys Air Huntress delivers a little bit of attitude and a whole lot of fun. 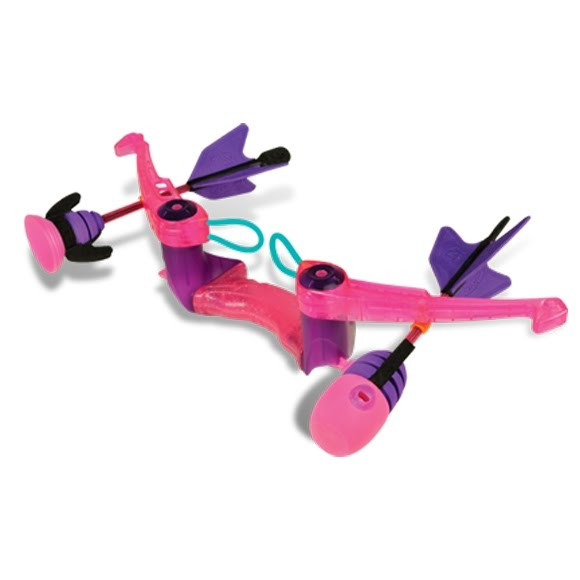 Zing Toys same power packed bows are designed in hot pink and purple - just for you! And you don't have to be in the movies to show the boys a thing or two! Become an Air Huntress! Ready. Aim. Girl Power! Zing Toys Air Huntress delivers a little bit of attitude and a whole lot of fun. Zing Toys same power packed bows are designed in hot pink and purple - just for you! And you don&apos;t have to be in the movies to show the boys a thing or two! Become an Air Huntress!